Legal Minnesota sports betting is an idea that hasn’t made its way to any legislative sessions, but has been long awaited by many residents of the state. There is no doubt that people in the Land of 10,000 Lakes love sports and love betting on their favorite teams even more. The state as a whole is known to be a pro-gambling state and federal laws have changed to allow legal sports betting all across the nation. In a state with high activity of gambling and sports teams, it is assumed sooner than later that the ability to legally wager on games will take off. With constantly changing laws, both on the federal and state level, it is extremely difficult to stay on top of what’s happening in regards to gambling. 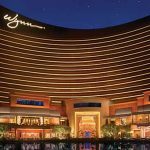 Not to worry as we collected all of that information and compiled it in this guide to ensure you fully comprehend every aspect of the gambling industry. After reading through this, you should be able to understand your rights to legally place bets on your favorite sports teams (or against your least favorite) and locations of where to get it done. Our goal is to ensure you are comfortable with all of the information presented and can safely and legally make a wager without the question of its legality. Is Land-Based Sports Betting Legal In Minnesota? Land-based sportsbooks in Minnesota haven’t made their way into fruition yet. 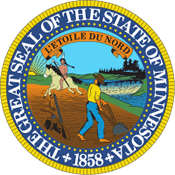 Because of federal law changes that happened in 2018, Minnesota has yet to establish any legality or regulations regarding the industry. PASPA was the federal law which made wagering on sporting events illegal nationwide but it was overturned which left many states without any policies in place – Minnesota included. 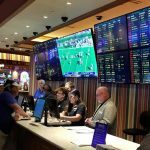 As the widespread legalization trend continues, it is likely Minnesota legislators will implement a system to allow for land-based sportsbooks which will probably start with the casinos and racetracks. These gambling facilities already have a regulatory body and infrastructure to support the industry and will be able to successfully manage the newly legal gambling hobby. Is Online Sports Betting Legal In Minnesota? Like land-based sports betting, there are no standards set for online betting in Minnesota. However, this is slightly different as Minnesota residents can legally wager online by using offshore sportsbooks. These operators are licensed by their home countries and provide excellent welcoming packages and betting lines that most land-based sportsbooks can’t keep up with. Be advised that using an unlicensed bookmaker who is inside the state of Minnesota whether online or in on-location is against the law and you can set yourself up for criminal charges. This is why we recommend using offshore sites which put both the bettor and the bookmaker completely immune to state and federal laws. You are limited to the offshore sites for the time being but that is not necessarily a bad thing. They offer a secure and reliable platform and grand prizes that you can win for simply using their site. Even better – the ones we recommend are free to join. Check out 5Dimes.eu, SportsBetting.ag, BetOnline.ag, or Bovada.lv for your legal Minnesota sports betting needs as well as their new member bonuses and you will see why betting online is made easy. 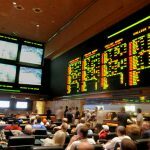 There are other sportsbooks in the world out there but be sure they are licensed and regulated by an overseeing committee, like the four above, so they do not take off with your money or put you at risk for identity theft. Legal Minnesota betting sites are definitely easier to attend and place wagers due to their instant access and ability to wager on the go. The sites we listed above all have mobile betting as well as live in-play betting which makes it even easier to find a betting line that will pay you handsomely. Moreover, they all post amazing customer service where they can be reached 27/4 by a variety of methods such as phone, email, and live chat. Promotions run strong and change often but these free sportsbooks keep you satisfied at every click of the mouse or tap of the thumb. If looking for low minimums is what you’re after, check out 5Dimes.eu as they allow for wagers as little as 50 cents! If you’re looking to deposit using cryptocurrencies like Bitcoin, Ethereum, and more check out Bovada.lv, SportsBetting.ag, and BetOnline.ag as they accept and return winnings instantly with crypto. As we stated earlier, Minnesota is a very pro-gambling state and their book of laws hold that standard. The state allows for charitable gambling, bingo, raffles, pari-mutuel wagering on horses, tribal games, pull-tabs, and even social gambling. Casinos are allowed to offer skill card games such as cribbage, poker, 500, gin and more while liquor establishments are permitted to allow dice games. The full list of definitions and rules can be found in Chapter 7861 of the Minnesota Statutes. Sports betting has not made its way into the state codes and remains to be unregulated within the state. If you attempt to wager with an unlicensed operator whether online or in person, you are subject to criminal charges and can put yourself in serious trouble. There is no need to risk laying your money and name on the line when there are other safe alternatives to wagering on sporting events. Therefore, it is advised to stick with an offshore operator that is licensed rather than dealing with an underground bookmaker. Minnesota is a professional sports haven as they play host to all five of the professional sports leagues. On the collegiate side, there is over two dozen school competing in the NCAA, including five at the Division-1 level. You don’t have to wager on local teams as online sportsbooks offer thousands of betting lines every day from sports like football and basketball to cricket and rugby all over the world. However, we understand if you want to support the local teams as Minnesota fan bases are tried and true. Horse Racing betting in Minnesota is fully legal and supported by everyone around town. Pari-mutuel wagering is the official title for this type of betting and is actually not even considered gambling. The state holds two incredible venues located on opposite sides of Minneapolis. Canterbury Downs is in Shakopee while Running Aces is in Columbus as they both offer live and simulcast racing. Minnesota is a large state and if these tracks are too far from, fear not, as the online operators listed above are also racebooks as well. They offer bets on horse races all over the world and it is just as easy and convenient as betting on sports. Minnesota has moved forward with the trend of allowing daily fantasy sports (DFS) and even attempted to regulate the industry and legalize paid-entry contests. While their efforts were unsuccessful, DFS operators like DraftKings and FanDuel are still able to offer their services within the state. Free contests, paid contests, large tournaments and one-on-one matchups are all available to be played with the addition of many more. 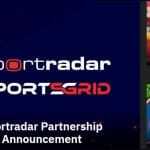 They are both reputable sites that offer new member bonuses and you can choose your team of athletes to compete against other users under a certain salary cap. Don’t get discouraged if you haven’t played before as both operators have beginners-only contests that allow you to play against players of your own skill level. Can I Bet Real Money On Sports In Minnesota? You can definitely bet real money with online sportsbook in Minnesota and the list of deposit and withdraw methods is quite long. Some sites are very crypto-friendly and accept Bitcoin, Ethereum, DASH, Litecoin, and Bitcoin Cash while others will readily accept your credit card. You can wager as little as $0.50 on some sites and as much as $5,000 on other. Unless you deposit in person, the sites will not take cash as they do not want you mailing cash. Is Online Sports Betting Safe In Minnesota? The online betting sites we have listed on this page are all known for their secure and reliable platform. They all encrypt their data where your personal information and account balance are safe from hackers and internet thieves. On the law enforcement side of things, using an online site that is located offshore will not put you in any trouble from federal or state laws – just be sure the operator is licensed for further protection. Will Sports Betting In Minnesota Ever Be Legal? Though there hasn’t been much talk about making sports betting in Minnesota legal, the likelihood is rather high as the state is a pro-gambling one. With casinos and horse racetracks already established, it would be an easy transition into the thriving industry and a great way for the state to earn some extra tax revenue. The tribal casinos can also fight for the exclusive right to offer sports betting as we have seen in similar states like New Mexico. Will I Get Arrested For Sports Betting In Minnesota? The only way you get arrested for sports betting in Minnesota is if you use an unlicensed bookmaker within the state. Gambling with a business that is not regulated by the government can get you in serious trouble and it is advised to use offshore sites that remove you from state and federal law jurisdiction. Any licensed operator located overseas will keep you out of trouble. What Is the Sports Betting Age In Minnesota? Minnesota residents are able to gamble on pretty much everything at the age of 18. However, as some casinos offer alcohol, they require an age of 21 for casino-style gaming. In this case, when gambling online it is recommended to be 21 years of age or older even though most operators will accept players as young as 18. There is no need to rush into sports betting and it is better to be safe than sorry when it comes to underage gambling as the state can bring criminal charges and the offshore sites can confiscate your account balance and permanently ban you from the site. Are There Mobile Sports Betting Apps Available In Minnesota? While the state does not have an online platform for sports betting, there are still other options when it comes to mobile sports betting apps in Minnesota. All of the operators we listed above have a mobile feature where you can access their mobile version from your phone as well as download an app to wager on the go. The apps are extremely safe and offer the same services you would find on their webpage. They even offer live in-play betting which allows you to wager after the game has started for a betting line better than what was offered at the start of the game. Where Is The Best Place To Bet On Sports In Minnesota? The best place is definitely with an online licensed offshore operator. 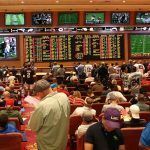 These online sportsbooks provide more betting lines and player rewards than most casinos could offer if they were able to allow sports betting. Not only are they safe and legal, but they allow you to shop lines which over time can earn you even more money as not all betting site posts the same odds. Between the four listed operators, they are all amazing sites and bring different things to the table – so browse them all and determine which one(s) are right for you. Should I Use A Local Bookie In Minnesota? Go ahead and use a local bookie and find yourself in more trouble than you thought you could be in. Any form of gambling with an underground operator is a punishable crime for both you and them. It is highly advised to stay away from these operations as there is no guarantee they will pay you out your winnings all while you have no legal discourse to back it up. Stick with the online sites that have proven their reliability and trustworthiness for decades. Do Any Casinos In Minnesota Have Sports Betting? Even with the plethora of casinos around Minnesota, they currently do not offer sports betting at this time. It is thought that the tribal casinos will be the first place to enter into this industry as they have the regulatory body and infrastructure already in place. Furthermore, they are already tourist attractions and can be a great addition to these establishments. You will have to rely on an online operator in the meantime until Minnesota legislators move forward with the legalization process. Can I Bet On Sports With My Friends In Minnesota? Social gambling is accepted in the state of Minnesota; however, it is recommended to do so behind closed doors. You never know when an officer will question your gambling methods if he overhears you and it can bring for problems that you don’t need when having fun with your friends. We advise that you also keep it offline so they cannot bring up any evidence against you should anything go wrong.